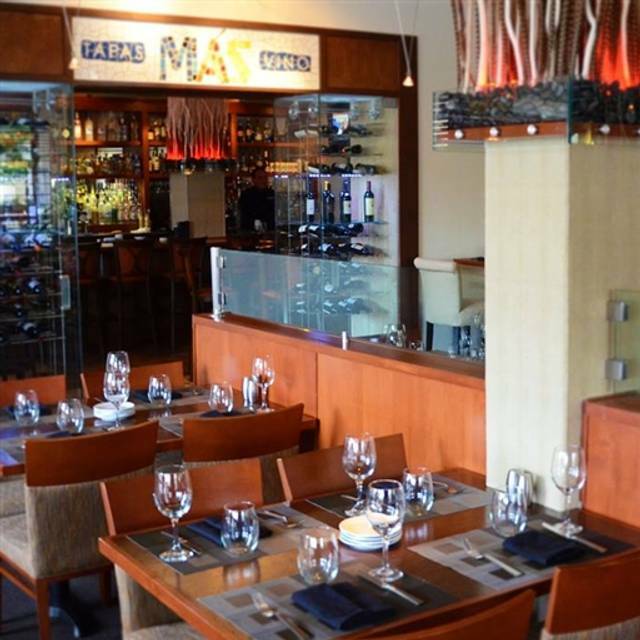 Complimentary valet parking is available to all MÁS guests. The Hotel is located two blocks from the Alvarado Transportation Center in downtown Albuquerque which is also home to the Rail Runner Train Depot. MÁS offers a variety of live music on Friday and Saturdays in the Andaluz lobby. Celebrating a birthday, engagement, or anniversary? At MÁS we love to celebrate and our team can create anything from a personalized cake to an entire event. Just ask! 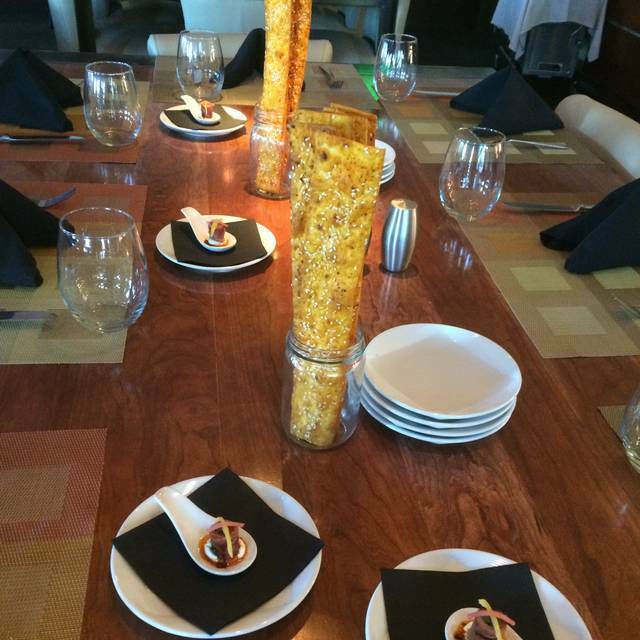 From an intimate casbah for six, to a private banquet for 160, MÁS has a variety of options for your party. Call us and let's discuss how to make your event special! MÁS Tapas y Vino by Chef Marc Quinones is a full-service restaurant and tapas bar. 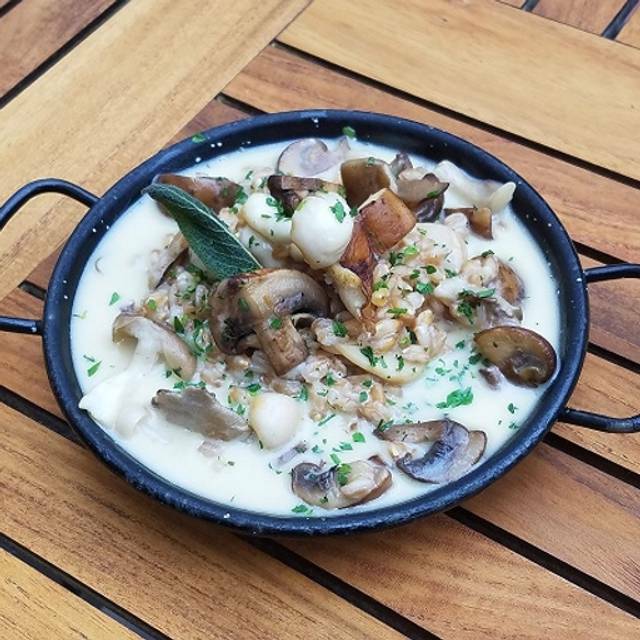 Inspired by the bold flavors, rich history and exuberance of Spanish cooking, MÁS offers fresh reinventions of traditional Spanish cuisine with an emphasis on locally-sourced foods and high quality imported ingredients and spices. I ordered the lunch beyond meat burger. Hard to find this in many restaurants. Delicious. And the fries were perfect. We were there for Easter brunch. The service was very slow and the portion were very small for the price. The cheesecake was a joke. We were very dissatisfied with the experience. First two Tapas were very good, service was great, but the last two (Paella & Garlic Shrimp) were very bland . Both needed seasoning. I love paella, and there's very few places in NM that serve it, but I wouldn't get it there again. Gabby was our server TWO days in a row! Went above and beyond expectations. Highly recommend the power bowls! Great experience, would highly recommend! We booked dinner on open table and the restaurant was closed! Was not happy to find this out upon arrival. Staff were amazing, very knowledgeable of their menus. Wine list is AMAZING. Kudos - we will be back! If took over an hour to get our food. Waitress was no where to be seen. Yea, won’t be back. The food was absolutely delicious. The quality of the service varied, but not a deal breaker. Our most favorite restaurant in ABQ. I brought my wife to celebrate a special occasion. Every plate was excellent or very good - variety, quality. We have dined many times, all most enjoyable with food & atmosphere. We have brought visitors also. The food was excellently prepared and very tasty. The honey bacon wrapped dates seemed overpriced for just 6 dates, but they were delicious. The chef came out to see if we were enjoying our food (we were) and that was a nice personal touch we weren't expecting. Overall, we had a very pleasant experience with Mas and will probably come again. Severely overpriced drinks ($20 cocktails in Albuquerque is ridiculous). Purposely weren’t given a drink menu so that we could see the price of the drinks before we ordered and one was never produced when we questioned the price of the drinks afterwards. Wait staff was overwhelmed and slow. Service was very slow. Sat for 10 minutes without anyone approaching our table. Food is very good. Looks like it needs spiffing up (tables, etc.). 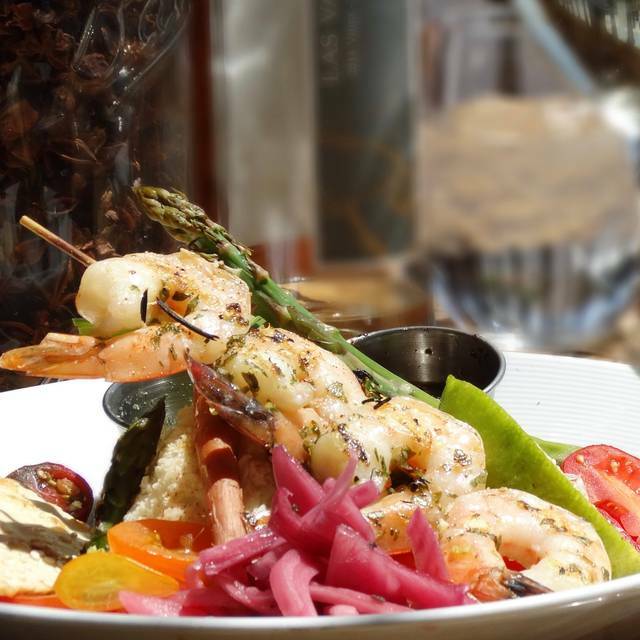 Great food, great location in the hotel Andaluz, the menu had so many great choices and we were only able to have a few of them. 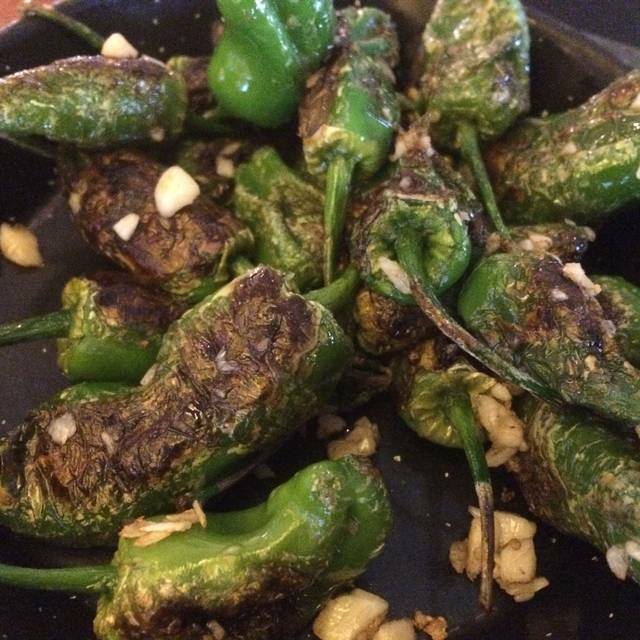 We will be back to have some of those dishes we did not have room for, we love Tapas and have had them at many different places, this one is probably the best. I loved the food and the service! Tapas were terrific. Especially liked garlic shrimp, also Brussel sprouts. Pinot Noir was a bit tannic but got better as it aired. Service was attentive but not overbearing. 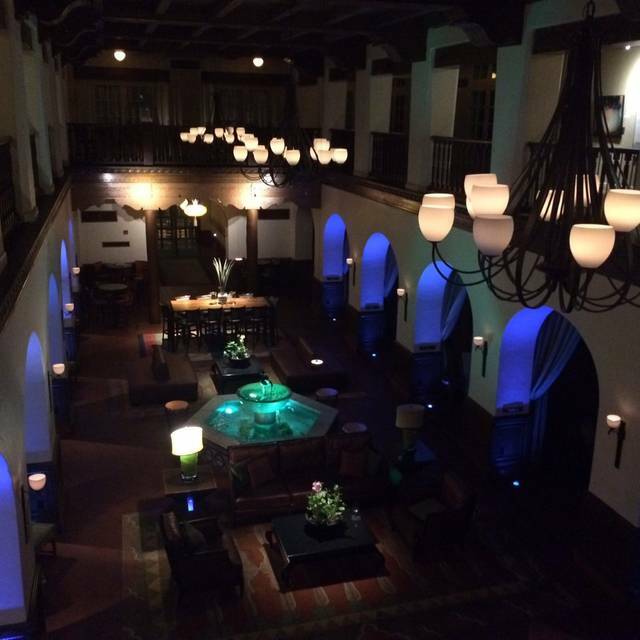 Appreciated the ambiance of the lovely lobby of the Hotel Andaluz where a classical guitarist was playing. Amazing service, food, drinks, and ambience! Will definitely return. A true jewel in Albuquerque! 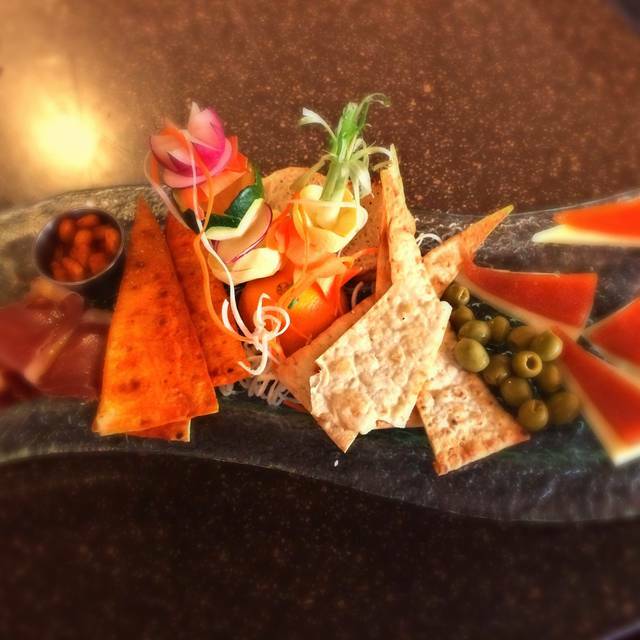 We enjoyed Mas Tapas y Vino! The waitstaff was attentive and not intrusive. The food was spot on with plenty of seasonings which did not overpower the central ingredients. Our waiter was knowledgeable about the Spanish wines and made good recommendations. Overall a highly enjoyable dinner. We will be returning! Very confusing experience. Not sure exactly what ‘tapas’ refers to in the name of this restaurant. It certainly seemed to miss both the Spanish & small plate themes. Dishes were overly complicated, and several were not ‘tapas’ size despite being described in this way. End result was we were overwhelmed with the quantity of food, and underwhelmed by the complicated nature of several dishes. Charcuterie & cheese selections were delicious, but the small portions were still ridiculously large. Sometimes ‘less is more’. Our experience of this restaurant was ‘more is more’, in terms of both quantity & complexity. Marc Quinones is an amazing chef. The oysters fried in duck fat were just the start. I don't think I have ever had better potatoes. 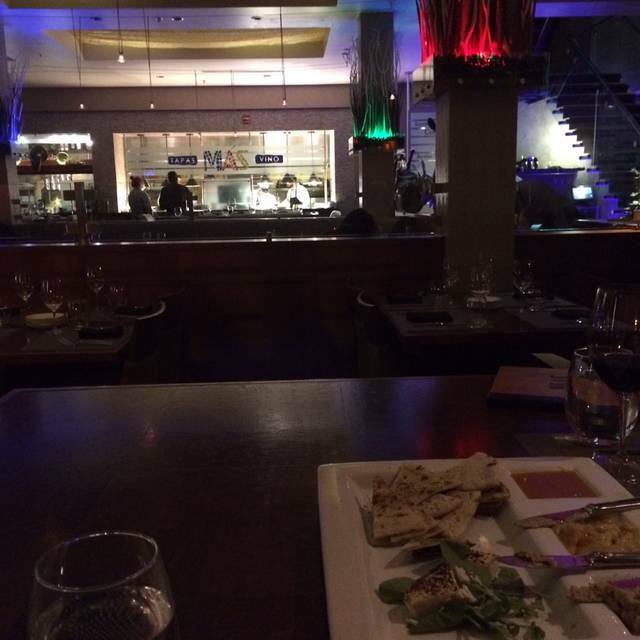 Good ambiance and service, I highly recommend this restaurant experience! This was our second time at MAS - the first was right after they opened - and I have to say it is so much better now! The service was good and the place a nice vibe. But it's the food! My goodness - if you go you must try the Tandoori Octopus! The Gambas are done differently, too, as they include finely sliced chorizo which gave them an extra zing. The grilled artichokes were good but nothing special. The wine list is terrific with a large enough selection to suit any taste and budget. And valet parking, too! We enjoyed the evening there. Very noisy place. Awful service. Plates were not cleared and had to ask repeatedly to clear the table and get fresh plates and utensils. Secreto was lacking in flavor other than the toast which was great. Foie Gras had some kind of carrot medley underneath which fell apart. Chilean sea bass was over cooked. Bone marrow had a lot of bone and not much marrow. Lackluster, almost somnolent service in a nearly empty dining room on a Saturday morning, that required me to actually get up from the table and track down wait staff to obtain a third menu for a party of three. When the slightly warmer-than- tepid coffee arrived without spoons, another specific request was made for that utensil. The service is more evocative of teenage zombies just up from a nap than one might expect from a downtown spot with an $18 breakfast bowl. The food itself is enjoyable with the quinoa-sweet potato hash nicely done and different than most breakfast offerings around town. But c’mon Mas, please fix the typo on the menu that says “hasa” instead of “hash” and attend to the details that should be auto-pilot by now. I probably would recommend MAS to a friend with some qualifications. Everything was great except our server. He was enthusiastic and friendly at first, but as soon as we ordered, he changed. He barely responded when spoken to and acted as if we'd done something wrong. Yes...a lovely meal with a menu to please most folks! All around excellent value for the top quality and the price. We went on a Saturday night. Everything was great. The cocktails were expertly made. The food was outstanding. Can’t think of a negative thing to say. Somewhat pricey, but not out of line for that type of restaurant. Chef Marc and his staff were wonderful. He came to visit our table. The food is outstanding and the service was wonderful. Thank you Chef! We enjoyed our (one day late!) Valentine's Day dinner very much. The paella was great, as was the wine, which had been suggested by our very good waiter. Food was awesome! We were very happy! The service was great. It’s a little pricey but worth it. Made the reservation pretty far in advance—they took us to a high top with two stools—I said oh no...get me a table. They found a table. One bartender for a full restaurant serving a prix fixe wit wine pairings. The “pairings” part never happened. The wine was either way ahead of the food or way behind. All the white wines were, if not warm, room temperature—just like the food. It wasn’t inexpensive. They did comp the wine portion of the meal, and the chef apologized. Only one choice on the menu. 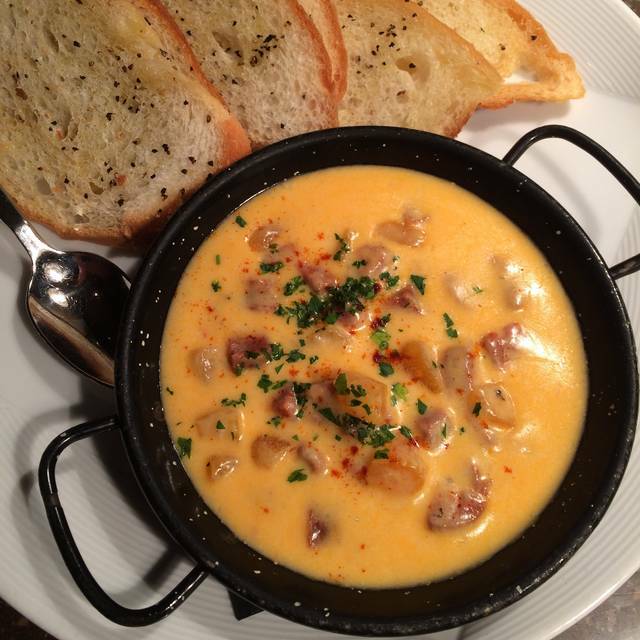 We will never go on a holiday again—but will go back for tapas when they are serving the regular menu. Anyway, I enjoyed spending the time with My husband. Waited about 12-15 minutes to be acknowledged in anyway (water or a smile) after being seated. While not happening to others next to us. There for Valentinrs menu, delicious until desert. Rather disappointing plain panacotta , hard to eat candy fruit, skimpy chocolate sauce and Ugh- Honey Comb Kids Cereal - gross. It was let down after a fabulous meal, especially the lobster egg rolls. Found very noisy hard, took away from intimate experience.. hard to hear staff. Turn down the music! We loved this place! We spent our Valentine’s Day dinner here. We had the ribeye, best stake I have ever had!! The service was great we will definitely be coming back here. The wine list was good and the tapas were delicious. The chef made paella for us, even though they usually only serve it at dinner. Lovely Valentine's Day lunch.